With the official opening held last night, a private art gallery will be opened to the public today (April 14) and April 15 from 12-4 p.m. at Brooklyn's Kings Theatre. Lauryn curated the gallery with the assistance of MoCADA, Nader Haitian Art, and The Haiti Cultural Exchange. In addition, her sold out concert at the venue (which will be live-streamed on Tidal) on April 15 will become the inaugural Diaspora Calling! Music Festival, featuring performances from Machel Montano (Trinidad), Stephen 'Ragga' Marley (Jamaica), Stonebwoy (Ghana), Mr. Eazi (Nigeria), EL (Ghana), Wondaboy (Nigeria), JoJo Abot (Ghana) and Paul Bearbrun (Haiti). This sounds like a really cool event that will give people the opportunity to hear music and view art from different cultures! 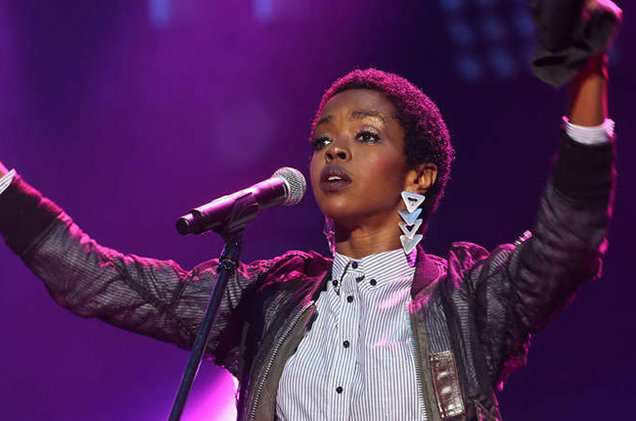 Though Lauryn now has a reputation of canceling on events and what not, I think this festival and series will be great. Kind of wish I could go!